It’s a great day for celebrating winners! Following the announcement of our Photograph Morocco winner, we are pleased to reveal the lucky person who’ll be blogging on behalf of Flight Centre on an Essence of Vietnam tour with Peregrine Adventures. To be in the chance to win this exotic adventure, we asked you to tell us, in 500 words or less, about an adventure in your hometown. What a diverse bunch of entries we received – captivating stories from hometowns around the world. From Brody Maclean jumping out of a plane in Sydney, to David Coomber taking his annual birthday walk through the neon-lit, historical streets of Soho, and Tom Stockwell’s rediscovery of Harrogate’s two sides. 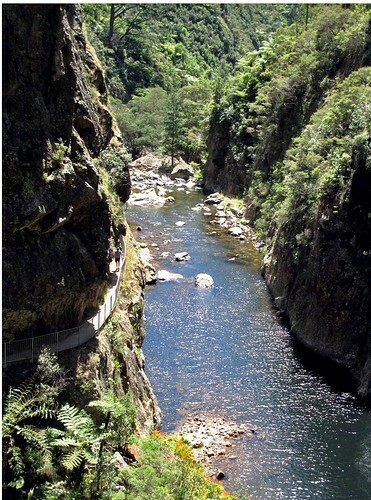 That winner is Teresa Curran and her story of two rivers – the Ohinemuri and the Waitawheta – that carve through the landscape of the corner of New Zealand that she called home. Teresa’s attachment to the land, and her rivers, gave us a unique insight into growing up in that part of the world, and her thoughtful prose kept us captivated until the very end. Congratulations Teresa, you win a fantastic eight-day Essence of Vietnam tour with Peregrine Adventures. Vietnam’s emerald bays and vibrant towns will surely be bursting with inspiration – we look forward to reading about your adventures! In the tiny corner of the world I call home, there are two rivers. 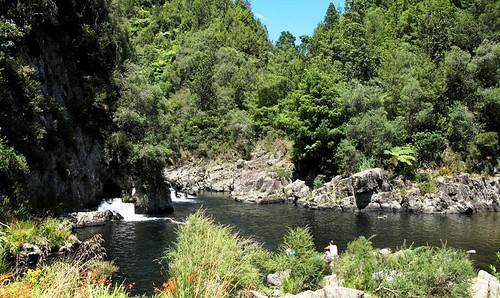 One, the Ohinemuri, formed the gorge that winds slowly between Paeroa and Waihi. The other, the Waitawheta, curls behind the hills and meets the Ohinemuri before it flows out past Paeroa and eventually into the Firth of Thames. There are more to these rivers than poetic, vowel filled names. For hundreds of years they have formed highways, cutting across mountainous country, creating a path for the people that love this land. For me, they mean home. They are soft summer pools of light; they are noise and harsh winter flood as the rivers rush angrily towards the coast. They have calmed me down from fury; they have woken me up from inertia. It’s customary, in Maori, to introduce yourself by explaining who your ancestors are, where they came from, and the landmarks you identify yourself by. It identifies you as part of the land. Ko Ohinemuri te awa: My river is Ohinemuri. Ko Waitawheta te awa: My river is Waitawheta. As all people who travel know, it is often the places close to you that you forget about, that you take for granted. It is true for my river, I don’t often think about it, but when I do, I remember how lucky I am to have had it all my life. I caught my first fish in the Waitawheta, and my first eel. I cooked them by the side of the river (well, I think my dad did) and ate them for breakfast. I abseiled down the side of cliffs as a ten year old; shaming teenage boys into volunteering to go next. I jumped off cliffs into deep pools (knowing which ones were too shallow and dangerous). I floated down the Ohinemuri on an innnertube. I read angst-filled teenage poetry on the banks and threw stones at the surface as I railed at the unfairness of life. I think the river listened. I told tourists about the area’s mining history and let them know the (second) best views. I turned them from those shallow pools and urged them to take care. In the clear and sparking water of the summer it is easy to forget the power in these rivers and the way the weather can change in an instant. If you happen to visit my rivers, be nice to them. They are fragile and beautiful and will, with care, last forever. Their adventure will last much longer than both yours and mine. Ko Ohinemuri te awa, ko Waitawheta te awa. Stay tuned to our blog where we'll publish posts from Teresa's Vietnamese adventure... and judging by her winning entry, it looks like we're in for a treat! Keen to get going on your very own adventure? Browse our adventure holidays now!